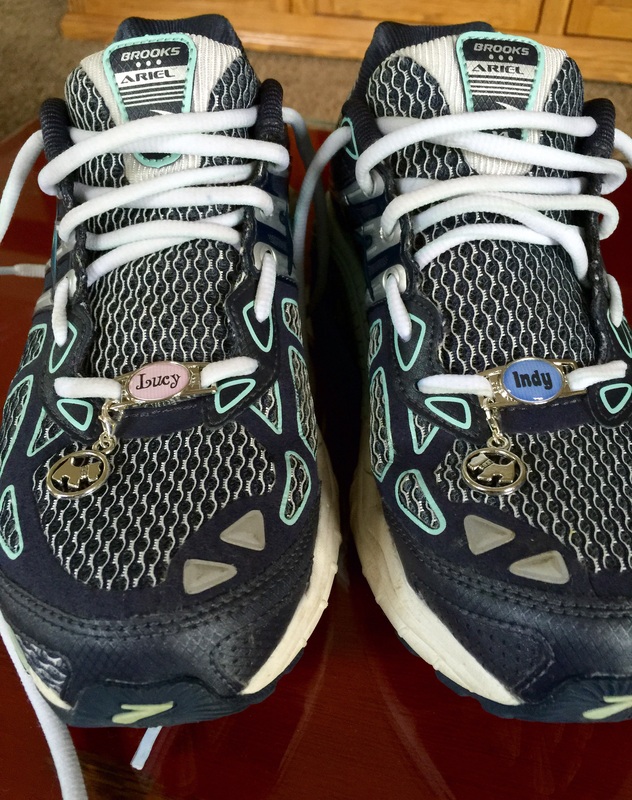 Shoe tags used by runners everywhere are motivational scripts for your feet. Now they have become the new foot accessory. If you can lace it, you can tag it. Tags can be customized with any quote, name, date, or medical alert. The possibilities are endless. Etsy is a great source for tags but any charm in your jewelry box can easily be adapted for shoe bling. Oooh love it! Indy is left and Lucy is always right! LOL!!! Mom is using all our dog tags, Ruffles. BOL! We love this, gotta get Mom all up to date on the tags. If we need to wear tags, then she does too. Shes already gots lots of the charm thingies, nice way to display them. Arrooo for this Lucy and Indy. That is why Mom’s shoes are laced like they are..to give some width space. C’est tres chic! I love it! Mom has a silver medallion pair for her boots. What fun! Super cute and I bet it makes your mom smile when she is out walking.